In addition to David Amerson, the Chiefs will release longtime depth cog Frank Zombo. The outside linebacker’s been in Kansas City since the Andy Reid regime began in 2013. He started 11 games in 2016, when Justin Houston missed most of the season with knee trouble, but will not be part of the 2018 team. The Chiefs drafted Breeland Speaks in the second round and plan to use 2017 second-rounder Tanoh Kpassagnon more extensively than they did last season. Here’s the full list of players who won’t be on Kansas City’s initial 53-man roster. Brandon Mebane, DT (Chargers): Three years, $13.5MM. $5.5MM guaranteed. $3MM signing bonus (Twitter link via Aaron Wilson of the Houston Chronicle). Jaye Howard, DT (Chiefs): Two years, $10MM. $8.26MM guaranteed. $5MM bonus. $3.27MM guaranteed at signing for injury. Pro Bowl escalator worth up to $2MM $12,500 per-game active roster bonuses worth up to $200K in 2016. $15,625 per-game active roster bonuses worth up to $250K in 2017 (Twitter links via Wilson). Dwight Lowery, S (Chargers): Three years, $7.2MM. $1.5MM signing bonus (Twitter link via Wilson). Frank Zombo, LB (Chiefs): Three years, $3.6MM. $500K signing bonus. Roster bonus of $100K in 2016 and $150K the next two seasons (Twitter link via Wilson). Brock Osweiler, QB (Texans): Four years, $72MM. $37MM fully guaranteed in first two years – $21MM in 2016 ($12MM signing bonus, $5MM roster bonus, $4MM salary), $16MM in 2017. The remaining $35MM is non-guaranteed, including $18MM salary in 2018 and $13MM in 2019. Deal includes a $4MM roster bonus due March 2019 (all Twitter links courtesy of USA Today’s Tom Pelissero). Chris Ivory, RB (Jaguars): Five years, $32MM. $10MM guaranteed. $5MM bonus (Twitter link via Wilson). Jeff Allen, G (Texans): Four years, $28MM. $12MM guaranteed. $5MM signing bonus. $3MM roster bonus due this month. Annual per-game roster bonus worth $31,250 (Twitter links via Wilson). Brad Nortman, P (Jaguars): Four years, $8.8MM. $1.65MM guaranteed. $650K roster bonus in 2016 (Twitter link via Wilson). Darrius Heyward-Bey, WR (Steelers): Three years, $3.8MM. $400K signing bonus (Twitter link via Wilson). Richie Incognito, G (Bills): Three years, $15.75MM. $3.45MM signing bonus. $2MM base salary in 2016 is fully guaranteed. $100K workout bonuses in each season (link via Mike Rodak of ESPN.com). Isa Abdul-Quddus, S (Dolphins): Three years, $12.75MM. $2.5MM signing bonus. $6MM in guarantees (Twitter link via Wilson). James Develin, FB (Patriots): One year, $750K. $150K playing time incentives. $50K signing bonus. $25K workout bonus (Twitter link via Wilson). Shortly after agreeing to a three-year deal with linebacker Derrick Johnson, the Chiefs have reached a three-year pact with fellow LB Frank Zombo, according to Tom Pelissero of USA Today (Twitter link). Zombo’s deal is worth $3.6MM and includes another possible $750K in incentives, per Pelissero. Zombo, 29, began his career with the Packers as an undrafted free agent from Central Michigan in 2010. After a three-year stint in Green Bay, he joined the Chiefs in 2013 and has since appeared in 48 straight regular-season games. Zombo logged two starts last season and amassed three sacks, the second-highest total of his career. He also played an impressive 80.9 percent of special teams plays for Kansas City and racked up nine ST tackles. We’ve got plenty more contract details to round up, so let’s dive right in…. Aaron Wilson of the Baltimore Sun and Albert Breer of the NFL Network pass along several key details on Dominique Rodgers-Cromartie‘s contract with the Giants, which seems to include $12MM in fully guaranteed money, and a little more in salary guaranteed for injury only. Here are the relevant Twitter links to read up on all the specifics. Wilson also shares the specifics on Steven Hauschka‘s three-year contract with the Seahawks (Twitter link), Walter Thurmond‘s one-year deal with the Giants (Twitter link), and Dane Fletcher‘s one-year deal with the Bucs (Twitter link). Jason Fitzgerald of OverTheCap.com has been doing a great job all week getting finalized contract details up in his database, and he passed along several new entries today. Among them: The Raiders‘ two-year deals for LaMarr Woodley and Justin Tuck, the Eagles‘ extension for Darren Sproles, and the Saints‘ five-year pact with Zach Strief. Julian Edelman received a $5MM signing bonus from the Patriots on his new contract, tweets Jeff Howe of the Boston Herald. John Keim of ESPN.com has the details on Santana Moss‘ minimum salary benefit contract and Clifton Geathers‘ two-year deal with the Redskins. Although Michael Oher‘s four-year deal with the Titans was initially reported as including $9.5MM in guaranteed money, it’s actually a little less than that, and only $6MM is fully guaranteed, with another $3.35MM guaranteed for injury only. Paul Kuharsky of ESPN.com has the details. Emmanuel Sanders‘ three-year, $15MM contract with the Broncos features $6MM in guaranteed money and cap hits of $6MM (2014), $4MM (2015), and $5MM (2016), tweets Albert Breer of the NFL Network. Updating his earlier report on Charles Tillman‘s contract with the Bears, Brad Biggs of the Chicago Tribune tweets that the deal includes $150K in performance incentives (based on total interceptions), so it could max out at $3.4MM instead of $3.25MM. 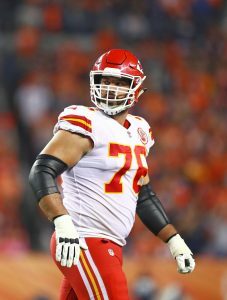 Frank Zombo‘s two-year deal with the Chiefs is worth $1.6MM and includes a $100K signing bonus, tweets Terez A. Paylor of the Kansas City Star. A minimum-salary deal for Zombo with a $100K bonus would work out to $1.575MM, so either that $1.6MM figure is rounded up, or the linebacker received slightly more than the minimum. While Julius Peppers‘ three-year deal with the Packers was reported as being worth $30MM over three years, the base value is actually just $26MM, though that could increase if the veteran hits certain escalators, says Tom Pelissero of USA Today (Twitter links). With a $7.5MM signing bonus and a $1MM base salary in 2014, the cap hit in the first year will be just $3.5MM. The deal also includes base salaries of $8.5MM in 2015 and $7MM in 2016, with $1MM in workout and roster bonuses in each of those seasons. Let’s round up a few more contract details from around the league…. Matt Maiocco of CSNBayArea.com provides the financial details on the contracts signed by cornerback Chris Cook and kicker Phil Dawson with the 49ers. Cook’s pact is a minimum salary benefit deal with no guaranteed money, according to Maiocco. Jameel McClain‘s two-year deal with the Giants has a base value of $4.5M, with escalators that can push up to $6M, according to Aaron Wilson of the Baltimore Sun (via Twitter). Wilson says the contract includes a $600K signing bonus, base salaries of $1.375M (2014) and $1.75M (2015), and a $400K roster bonus in ’15. The Rams‘ new deal with Jo-Lonn Dunbar is a two-year, $2.05MM contract, but could be voided after year one in certain scenarios, as Wilson explains in a pair of tweets. The new five-year contract Zach Strief and the Saints agreed to today includes a first-year base salary of just $900K, meaning Strief’s 2014 cap hit is $2MM, tweets Mike Triplett of ESPN.com. Frank Zombo‘s new contract with the Chiefs is a two-year deal, reports Terez A. Paylor of the Kansas City Star (via Twitter). The three-year deal between the Giants and Jon Beason has a base value of $16.8MM, with a $4.4MM signing bonus and $6MM in overall guaranteed money, tweets Ralph Vacchiano of the New York Daily News. The Chiefs have agreed to terms on a new contract with linebacker Frank Zombo, reports Mike Garafolo of FOX Sports (via Twitter). Zombo’s new deal will keep him off the unrestricted free agent market tomorrow. Zombo, 27, was primarily a part-time player in his first three seasons with the Packers, but started several games on defense for the Chiefs last season and was a contributor on special teams. Assuming Kansas City’s defense enters the season fully healthy, Zombo will likely return to a reserve role, but he held his own in 439 defensive snaps in 2013.